Tadi Brothers’ 7" Monitor and a 180° Mounted trailer RV Backup Camera (RV Backup System) will change the way you drive your RV. Use your camera while driving or in reverse to see easily spot everything in your path. Plus, you can toggle between two cameras at once to maximize your range. The dual purpose monitor can even be used to watch DVDs and play video games, which is always appreciated when traveling with children. The 7" Monitor and a 180° Mounted RV trailer Backup Camera (RV Backup System) is 100% weatherproof, so you won’t have to worry about taking it down during rain, snow, sleet or other adverse conditions. In fact, the camera is housed in rugged die-cast aluminum, allowing it to even withstand hits from rocks. Installing this camera on top of your RV is easy, meaning you’ll be ready to hit the open road in no time at all. Tadi Brothers is proud to offer a high-quality, cost effective camera to keep you safe on the open road. 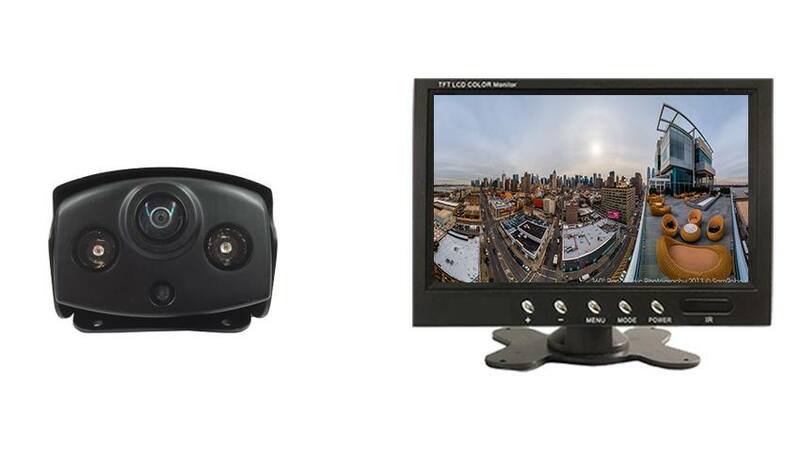 Purchase your 7" Monitor and a 180° Mounted RV Backup Camera (RV Backup System) today!